Total Wellness offers a roadmap to wellness that breaks down how anyone can get involved and make the most of wellness. Simply having a wellness program isn’t enough. Sometimes, like any program, a wellness program can be confusing. And the best way to get employees engaged is to cut the confusion. 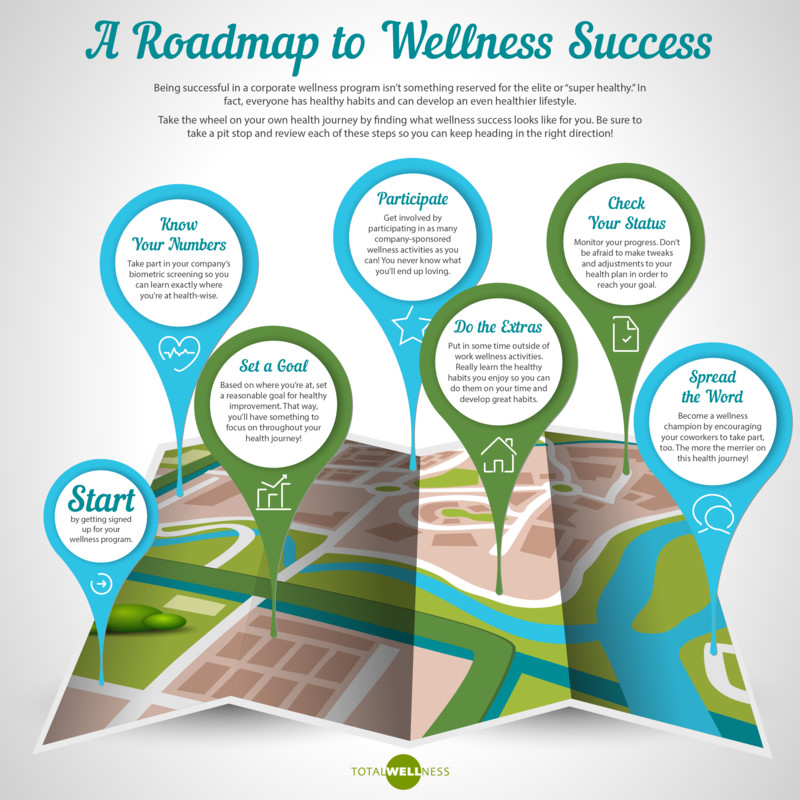 That’s why Total Wellness, a wellness services provider, offers the following roadmap to wellness. It breaks down how anyone at the company can get involved and make the most of wellness.